Build Your Own or Choose one of our Favorites. 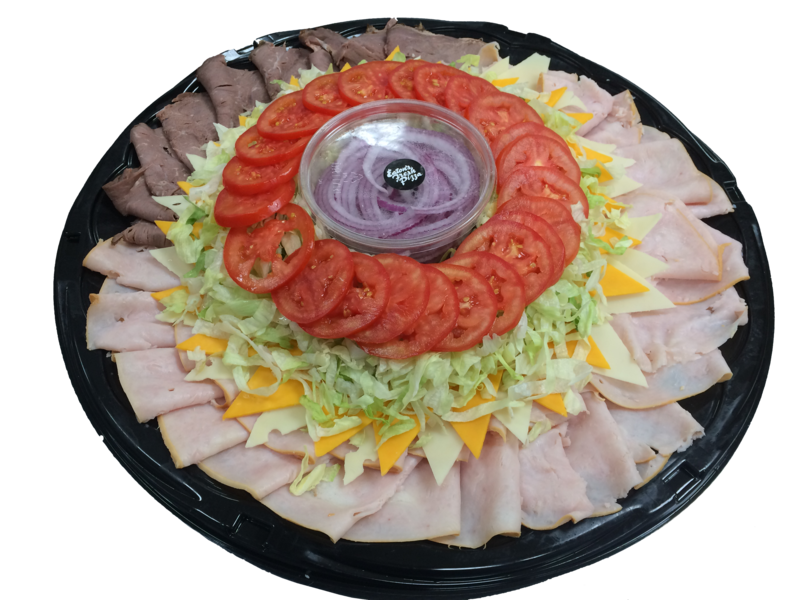 Sliced Turkey, Ham, Roast Beef, Cheddar, Swiss, Lettuce, Tomatoes, Onions, and Pickles. Mayo and Mustard Packets too! 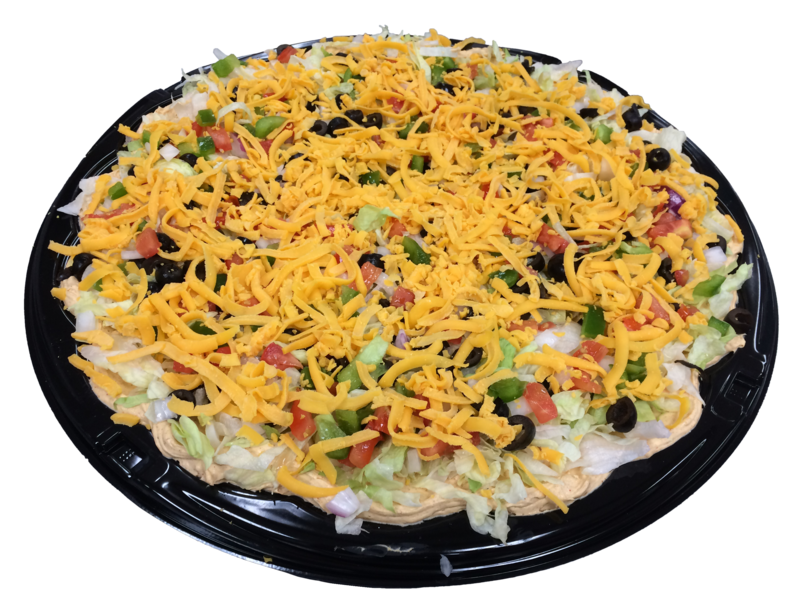 Taco dip spread topped with Tomatoes, Lettuce, Black Olives, Green Peppers, Onion, and Cheddar Cheese. Includes a bag of Tortilla Chips. 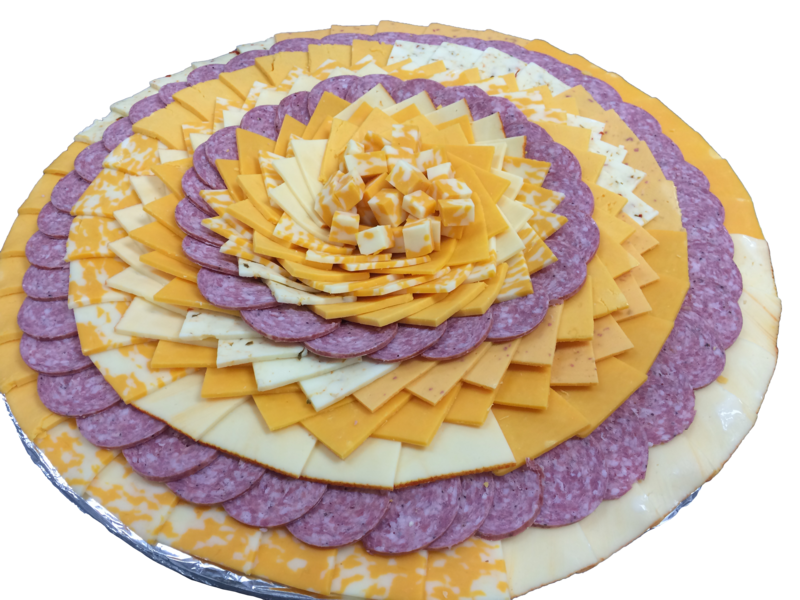 Mild Cheddar, Muenster, Colby Jack, and your Choice of Pepper Jack or Salami Cheese. You can have summer sausage or just cheese. 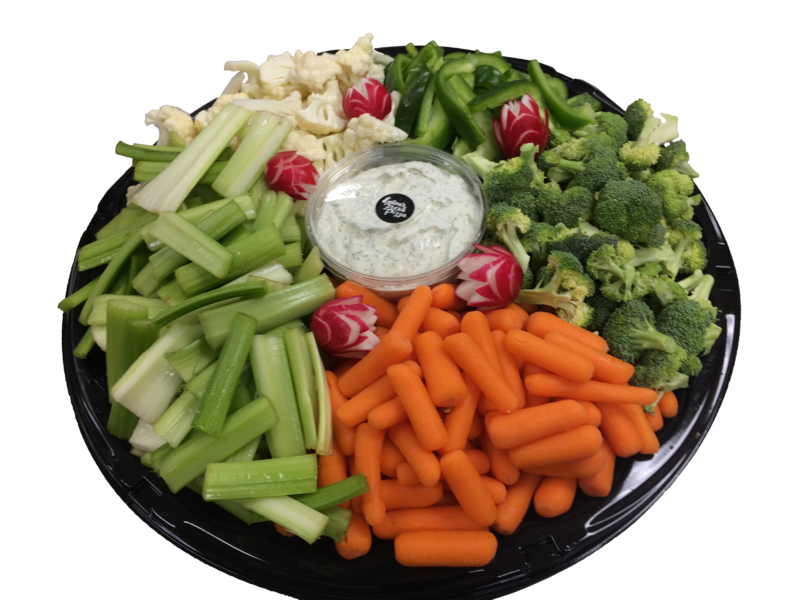 Celery, Carrots, Cauliflower, Green Peppers, Broccoli, and Dill Dip. A dozen of our fresh baked chocolate chip cookies. Seasoned Mayo, Ham, and Lettuce rolled in a Flour Tortilla and cut into bite sized portions. 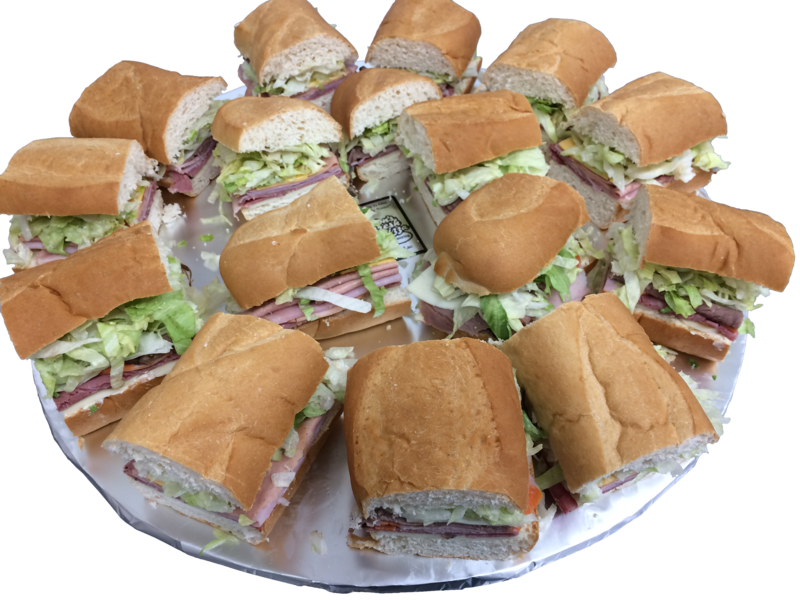 Three dozen Dinner Rolls with your choice of Ham, Turkey, or Roast Beef.